A Political Movie for the Ages! On the outside, Valerie Plame (Naomi Watts) is an investment consultant, married to a United Nations Ambassador Joe Wilson (Sean Penn) with two beautiful children. On the inside, Valerie is a covert ops CIA spy who spends 80% of her time over in the Middle East trying to uncover the terrorist threats and rumors that they have weapons of mass destruction. Their public facade is going perfectly until Joe uncovers some rather shady information regarding a cover-up by the Bush Administration. Feeling a moral obligation, he goes on record to publish the truth in the New York Times. In retaliation, certain members of the White House task force publish articles making Plame’s identity, “Fair Game” and criticizing Wilson’s credibility on the issues he brought forth. Will justice be found? Will this horrific scandal tear apart a marriage and family? And will you think twice next time you hear a State of Union Address? 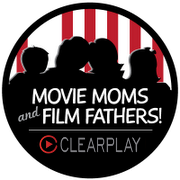 All questions you’ll want to find out in this epic film, Fair Game. Fair Game is actually based on real life events that occurred back in 2002-2004. Many of you may remember the Valerie Plame/Joe Wilson political debacle…I didn’t. So in the opening scene the real Valerie Plame (not Naomi Watts) is making a speech, which was when I promptly paused the movie, looked to my husband and said, “Ok, what am I missing?” After a briefing on what happened back in 2002 and hearing that this movie is based on “mostly true events” I felt more prepared to watch and able to keep up. 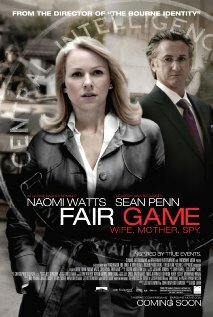 Sean Penn is, as always, incredible but the true star of Fair Game is Naomi Watts. To have a female power icon that plays a covert ops CIA spy is not something that Hollywood puts out on a regular basis and Watts lived up to her powerful real life character, Valerie Plame. She lends a taste of determination, intensity, and femininity in this spy thriller/drama and frankly I can’t think of any other big Hollywood actress that could do so well! A bit slow in the beginning so that they can bring those of us who are unaware of the 2002 scandal up to speed, but once the ride hit the first huge hill, I was hooked! With the combination of a captivating political scandal and phenomenal acting, this is a film that you won’t want to miss. Let me just say when Fair Game ended I couldn’t stop thinking about it for days afterwards. Motherly Advice: I had my filters set on medium for Fair Game and I was spared two “f” words and a small handful of religious expletives. 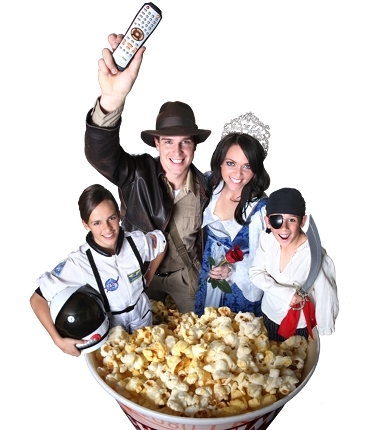 What makes this movie PG-13 is the content. It’s a film all about Government politics and the war over in the Middle East. And with the exception of about ten minutes worth of bombing and shooting when Valerie is over seas trying to uncover the terrorists, it really isn’t too violent. Fair Game would really be appropriate for anyone over 13 but I think that only adults and mature teens would grasp the message and enjoy the film. Trisha~Fair Game it may be, but it’s certainly not one that I’d choose to play!